custom-made Martin D41 Sunburst Acoustic Guitar D-41(custom-made All-massive wood )solid sitka spruce top,solid indian rosewood sides and back,one piece of mahogany neck,real abalone inlays,nuts and saddle bone,ebony fretboard and bridge,a Bear headstock customized type according to customer’s special requests,top quality China custom-made Martin D41 Sunburst Acoustic Guitar D-41. 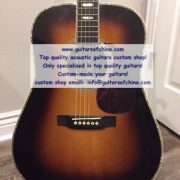 solid sitka spruce top,solid indian rosewood sides and back,one piece of mahogany neck,real abalone inlays,nuts and saddle bone,ebony fretboard and bridge,a Bear headstock customized type according to customer’s special requests,top quality China custom-made Martin D41 Sunburst Acoustic Guitar D-41. 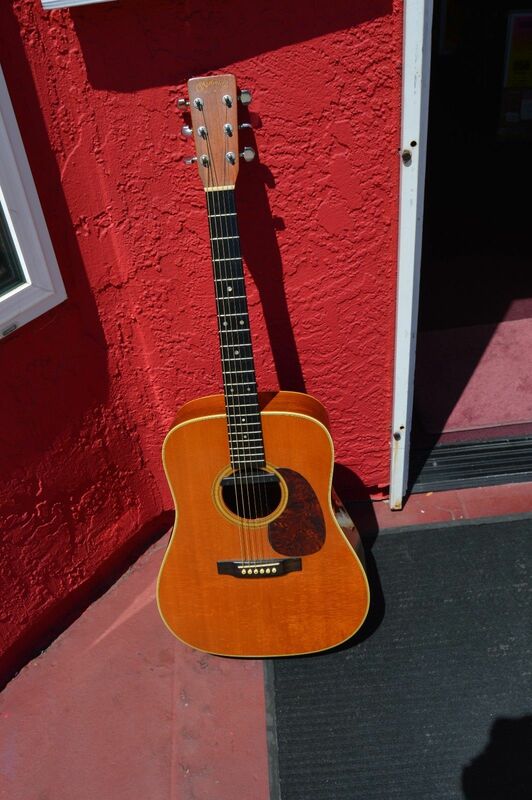 The D-41 dreadnought, first introduced in 1969, is an important installment in Martin’s 185-year legacy as one of America’s most celebrated instrument makers. It has been favorably compared to the venerable D-45 — though only slightly less decorated. 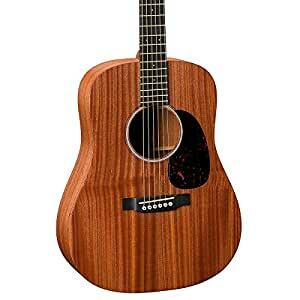 The latest D-41 retains the big, bold tone of previous generations, but substitutes a slimmer High Performance Taper neck for even greater playability, along with Forward Shifted X Bracing for greater bass. Its tone remains one of the most recognizable voices in American music history. Vintage-styled visuals and appointments, including an aged toner finish and open-gear tuners, give this D-41 an heirloom look. 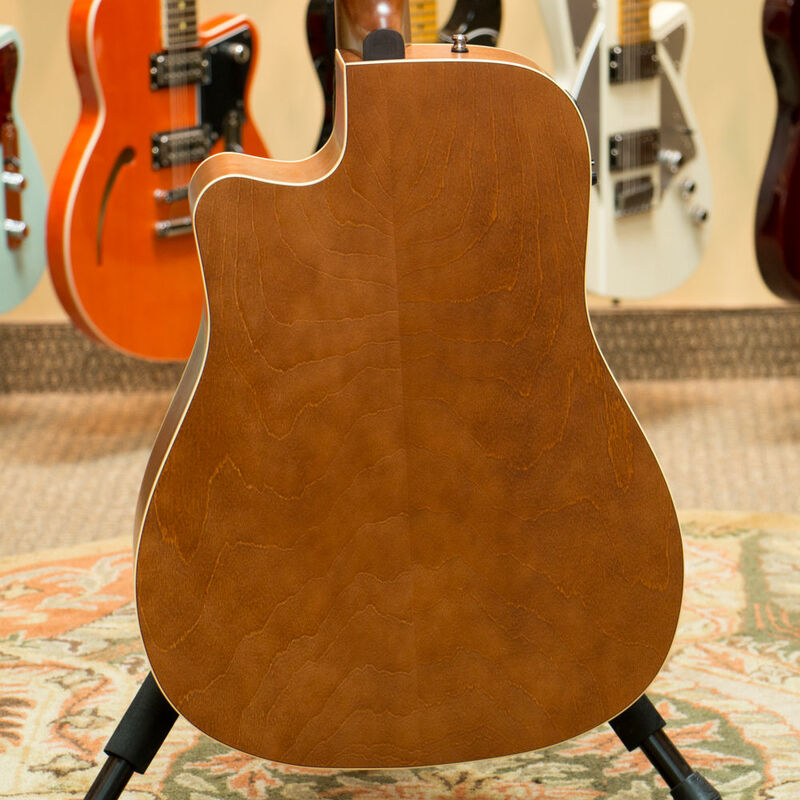 The D-41 features truly stunning details in design and craftsmanship. 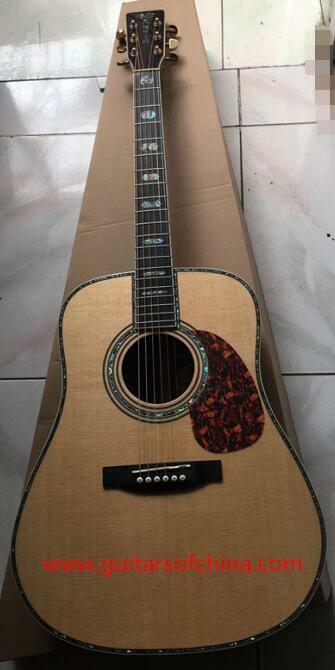 The D-41 top is inlaid with stunning abalone pearl while the entire body features a beautiful antique white binding. 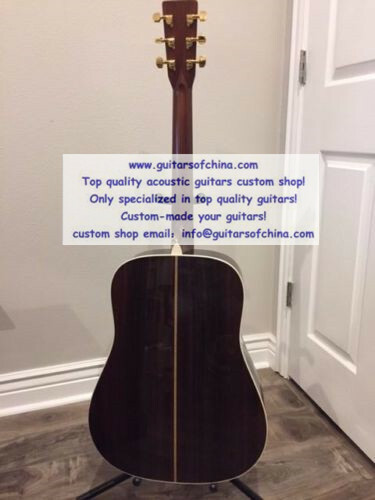 The mahogany neck is topped with a gorgeous ebony fingerboard with abalone hexagon inlays. 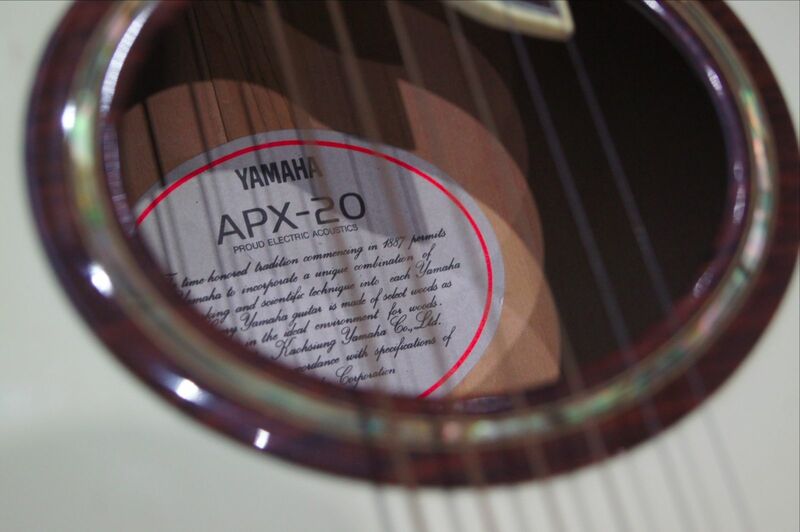 The 20 medium frets have been Plek’d to ensure impeccable response and feel. 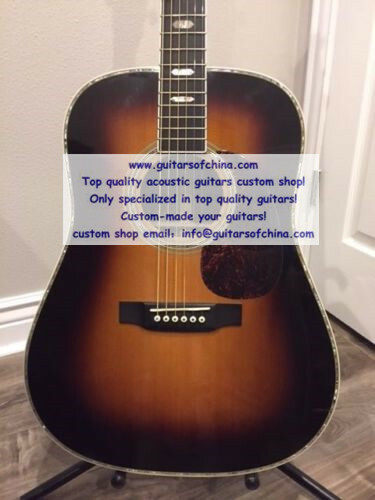 Gold open-gear tuners top a stunning rosewood headstock, while a classic block overlay Martin logo inscription gives the D-41 an added vintage look. 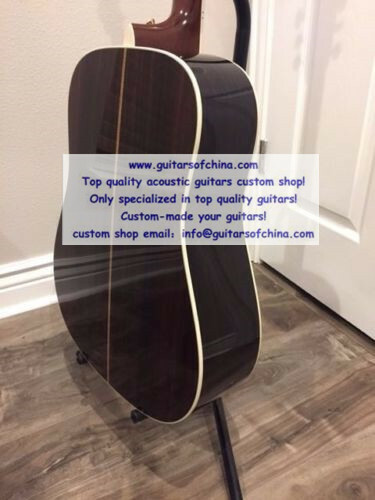 If knowing and choosing all the technical specifications of your next guitar is both necessary and exciting, Guitars of China is here fo you ~! 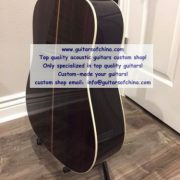 Choose your style and build your guitar! Made from scratch,delivered worldwide~Let’s stand out from the Crowd! 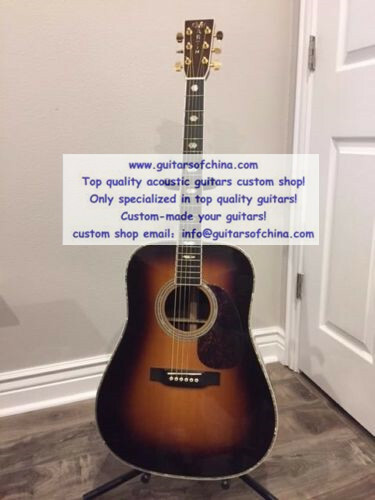 Let’s create your Custom Guitar! 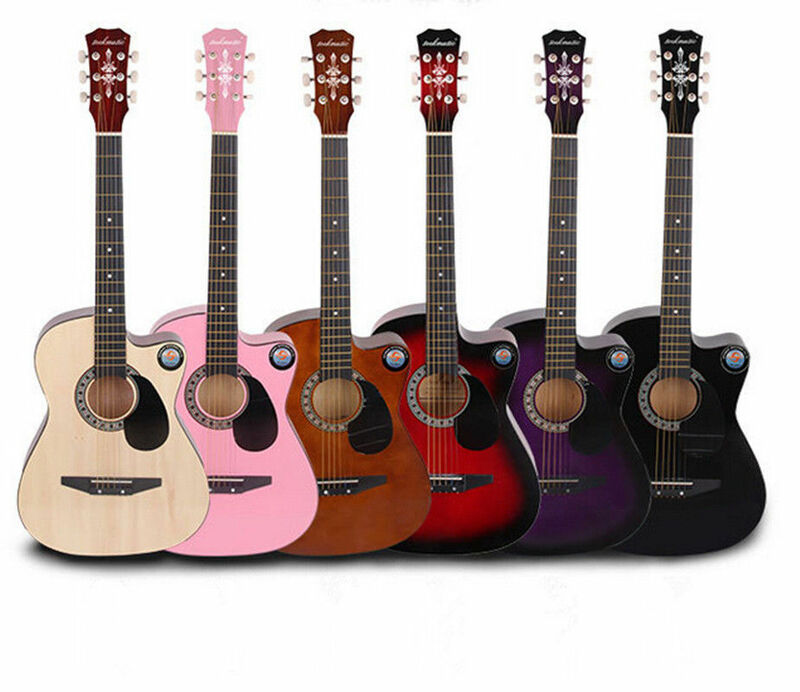 We will made it fun,efficient and affordable for guitar lovers,players to design,order and play their own guitar! 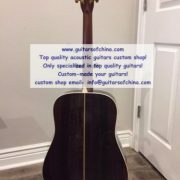 We make good quality custom guitars!